← SOLD ~ Touchstone Ranch!!! JUST LISTED ~ 37C County Road 387! 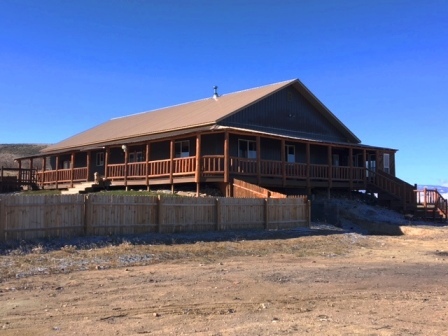 We just listed 37C County Road 387 that is just 2 miles south of Saratoga, Wyoming. The main home is 7 bed, 3.5 bath with custom Alder wood cabinets, Hickory floors, 10 ft ceilings and much more. There is also a recently remodeled 2 bed, 1 bath guest home. Bordering the BLM this 5 acre parcel also enjoys great mountain views and has no HOAs or covenants.